Follow women’s musical journey through the decades from Aretha Franklin, Gloria Gaynor and Dolly Parton to Amy Winehouse, Kasey Musgraves and Adele in present day. Performed by an all female ensemble comprised of members from local bands, Violet and the Undercurrents, Mikal Shapiro Music, Teri Quinn, Amy Effington and LOTS MORE! This event is an opportunity to come together as a community and show support not only for our local female musicians, honor those who have made an impact in the music industry, but also to honor all of the women in our lives. Come raise your voices with us and sing along to some of your favorite songs of the last six decades written and performed by women. 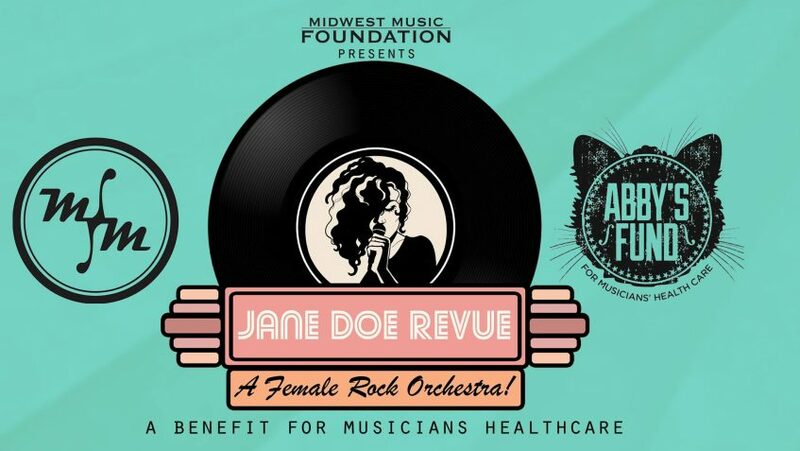 The Jane Doe Revue is a Female Rock Orchestra formed in the spring of 2017. The mission of this project is to bring together women of any age, culture, affiliation, and label to honor women in every shape and form and make music together. JDR finds it imperative now, more than ever, to form a community that honors and respects women both in the music industry and in every aspect of life. All proceeds for the event will be donated to Midwest Music Foundation unites and empowers the Kansas City area music community by providing health care assistance, education and career development, events and resources.